The Daily Mail was named Newspaper of The Year at the Press Awards last night for its “strong and provocative voice”, campaigning journalism and shaping of the national conversation, judges said.  It is the second time the newspaper has taken the top prize at the Press Awards since the event was launched by the Society of Editors in 2010. Last year the Daily Mail’s sister title, the Mail on Sunday, took the accolade. 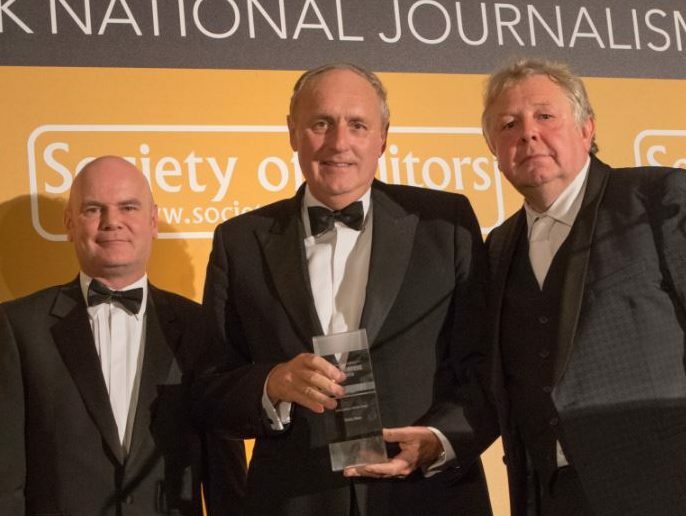 Daily Mail editor Paul Dacre is pictured above (centre) receiving the prize. Judges said the Mail had “dominated the narrative and produced agenda-setting and stand out coverage in 2016”. They added: “In the seismic year of Brexit, the battle for No.10 and campaigning journalism, the winner had its finger on the pulse of the national conversation. “Not only did it shape both the agenda and the narrative it reflected the temper of a large part of the country in a year of political upheaval. It was a must-read across the political and public spectrum and its strong and provocative voice never wavered. 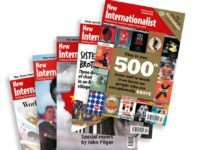 “From crusading reports on press freedom to Brexit, the Sepsis scandal, the madness of drivers using mobile phones, wasteful foreign aid spending, betrayal of Afghan interpreters, the harm caused by ‘plastic poison’ and the battle to end the witch-hunt against British troops, the conviction of the paper’s commentary and campaigning in 2016 was matched only by its energy. The Daily Mail campaigned strongly for Brexit in its comment pages and choice of editorial coverage in the run up to the 23 June referendum on leaving the European Union. Other big winners at the awards, held at the Hilton on Park Lane, London, were The Times, Financial Times, The Sunday Times and The Guardian. Times reporter Rachel Sylvester was named political journalist of the year for the second year in a row and took home scoop of the year for her interview with Conservative party leadership candidate Andrea Leadsom in which she suggested “being a mother” gave her the edge on Theresa May. 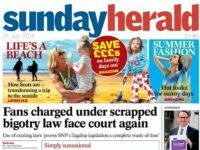 Judges said Sylvester’s scoop “dominated the news agenda and was quality journalism published at a time of massive political uncertainty”. The Times also saw Anthony Loyd awarded the foreign reporter of the Year and Billy Kenber named science and health journalist of the year. 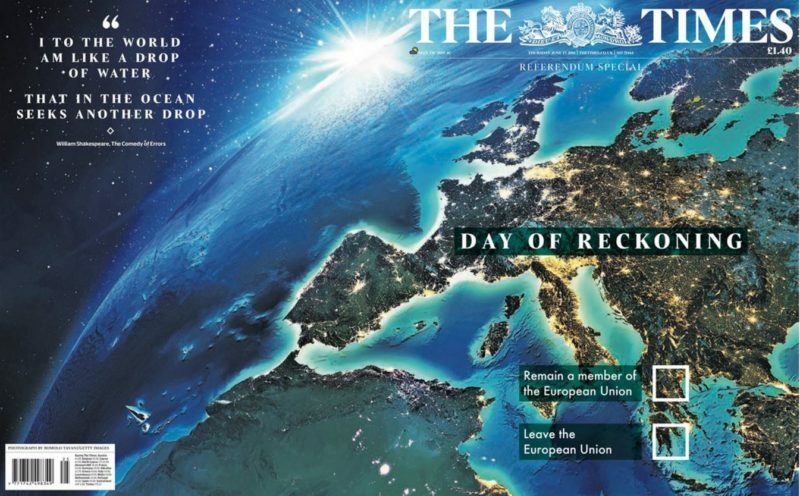 The paper’s ‘Day of Reckoning’ cover on the day of the EU Referendum was named Front Page of the Year. 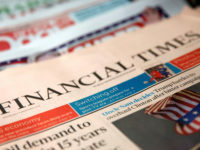 The Financial Times won the website of the year and also saw Pilita Clark named Environment Journalist of the Year, Simon Usborne named Travel Journalist of the Year, Henry Mance awarded Interviewer of the Year for the Broadsheets and FT Weekend Magazine named Supplement of the Year. The Sunday Times took home the Young Journalist of the Year for Louise Callaghan. The paper’s Oliver Shah, who led the coverage on the collapse of BHS under Sir Philip Green was awarded the Business and Finance Journalist of the Year Award. The evening also saw posthumous honours for Feature Writer of the Year and Critic of the Year awarded to AA Gill for the Sunday Times. Gill died of cancer in December. 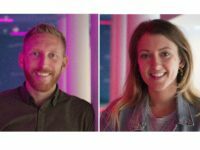 Guardian social affairs reporter Amelia Gentleman was named specialist journalist of the year and chief football writer Daniel Taylor won both the sports journalist of the year and news reporter of the year categories for his reporting on the football sexual abuse scandal. The Telegraph’s picked up digital scoop of the year for exposing football manager Sam Allardyce used his position as England manager to negotiate a £400,000 deal and offered advice to businessmen on how to “get around” FA rules on player transfers. The paper’s Lisa Armstrong was also named fashion journalist of the Year. 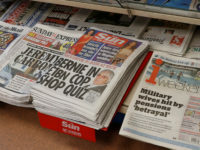 The Sun saw its Age UK investigation awarded the Cudlipp Award for campaigning journalism and Laura Armstrong named Showbiz Reporter of the Year for the Sunday edition. The New European was awarded the Chairman’s Award. or at least give the number of votes cast so it is possible to see how many members of the Society Of Editors actually had a part in the decisions.